Come join the National Grange in Washington, D.C. for the Annual Legislative Fly-In as we meet with our Congressional Delegations and advocate for a stronger rural America on May 22-24. 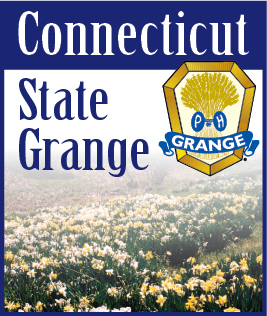 The National Grange will continue carrying the torch of celebrating our citizenship by planning meetings with attending Grangers and their National representatives, as well as hosting expert-lead briefings on current legislative issues facing our Congress. Attendees will be treated to a VIP Tour of George Washington’s Mount Vernon Estate and Gardens in Alexandria, VA. Although primarily recognized for being our first President and Father of our Country, what George Washington enjoyed most was farming and animal husbandry, which is evident in every plant and animal on his estate and can be traced back to the original seed and livestock. Thought leaders in the fields of healthcare will give a very in-depth briefing on the effects that the Affordable Care Act is having now, and will have in the future on Medicare and access. Innovation experts from AT&T will present the latest ways broadband is changing how medical information is collected and protected, as well as introducing new products which can assist a patient in taking their medications regularly or even in dropping U.S. infant mortality rates. Come let your voice and the voice of your local communities be heard here in Washington.